Inside Line is reporting the 2013 Nissan GT-R will get a horsepower bump. The exact figure is not stated, but they say Best Car is reporting a 30hp bump, bringing the car up to 560 hp. I think that a more realistic number might be a 20hp bump to a nice, even 550hp. This change is supposedly going to be across the board, and across the world cars. Will this be the final swan song for the Nissan R35 GT-R? They also state that the SpecV will discontinue production this year. The sales of the 15,750,000 yen ($195,000) SpecV have been pretty slow since it was introduced, with the latest data I have saying only 49 cars as of December 2010. The end of the SpecV production might lead to a possible SpecR. 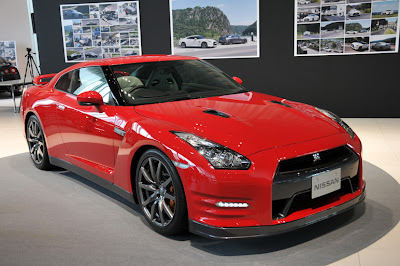 The rumors of the SpecR state it had more power, and came in 130 lbs lighter than the normal GT-R. It took a lot of very expensive parts, like $50k brakes, to get the SpecV 132 lbs lighter than the standard GT-R.